I got my hubby to take some photos of my bump and it looks so big! what do you think, big, small or average for 21 weeks? Wow, I'm 30 weeks and not that big! yes, does look quite big but if it's your 2nd or subsequent pg's you get bigger quicker apparently as everything has stretched before. This is my 3rd pg and my bump has got bigger quicker this time - I'm only 29+4 but bloke said in the playground that I look like I'm about to drop - thanks for that mr - made me feel great! men eh!!!!!!! Don't worry you look lovely hun. I am 28 weeks and 6 days and am not that big...yet! But your bump is beautiful! lol thanks everyone. I keep getting paranoid that I look like I ate too many pies rather than pregnant after my mum came home with a T shirt for me today which says in block capitals "I'm not fat I'm pregnant"! I asked her why and she said "well, everyone will know now" Thanks mum! I do feel much bigger with this one than I did with Abby, but lots of people have said you get bigger with second pregnancies. bless mum being helpful! 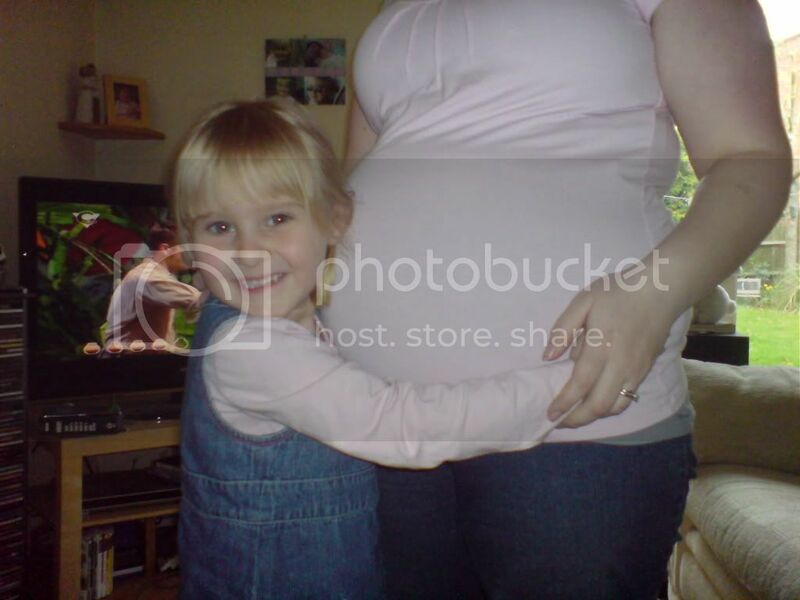 you deffinatly look pregnant and not fat!